You want to follow the signs of the universe and you want to live a life that is Divinely guided. But where do you start? 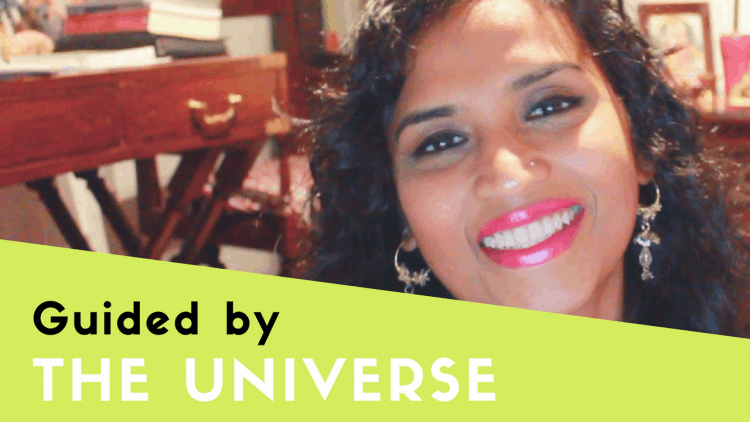 In this video, I share a 5 step process that will help you to live a life that is guided by the Universe. I call this the A.L.T.A.R. process, which is explained in detail in this video. Check it out. The first letter, A, stands for the ASK step. Ask for guidance, have a conversation with the Universe and with your inner Guru. If you don’t ask for it, the Universe won’t get the signal from you that are seeking guidance. L stands for LISTEN. This is the most important part of the process and often, the hardest. Listening has to do with patience because the answer from the Universe doesn’t always come super loud and clear. Sometimes, it comes faintly or it’s fuzzy. So, be patient and listen hard. T stands for TRUST. The other side of the patience coin is trust. Trust your guidance enough that all the doubts of your ego disappear. At this stage, your ego will most likely freak out and try to prevent you from taking the next step! It will try to prevent you from trusting what you are hearing. Ignore the doubts coming from your mind and trust what you hear is the right thing. The fourth letter stands for ACT. Even if you are a little scared to act upon your guidance, do it. Trust it and just do it. Trust that the guidance came from a place that knows a lot more than you do and therefore is giving you the wiser instruction. The last letter, R, stands for REPEAT. You see life is not determined by just one single moment. It is determined by single moments occurring one after another over and over again. The moment that changes your life forever will happen, then another moment will happen that will change your life forever, and so on. In order to live a life that is guided by the Universe, you must continue to practice the A.L.T.A.R. process all the time. If you want to set up a physical altar in your room to help anchor you, that would help. I’ve got one and it is something I come to every single day to pray, to reconnect and to practice A.L.T.A.R. It is where I ask, my meditation practice is where I listen, my altar is what anchors my trust, my daily life and activities is where I act and it is each day that I try to repeat the whole process. After all that I said, can I tell you a secret? You are already being guided by the Universe. How do you think you ended up on this page reading this post?